WWE Raw is at Sumo Hall in Tokyo and Smackdown is in Odessa, TX. We're looking for reports on those shows to newstips@wrestlingobserver.com. WWE has a Smackdown brand house show in Hobbs, NM on Sunday. Raw will be Monday in Phoenix. Brock Lesnar and Paul Heyman will be on the show. There will also be a Monday night house show in Amarillo, TX. Smackdown and 205 Live will be in Phoenix on Tuesday. John Cena returns on the July 4th show, plus there will be a Battle Royal for the U.S. title shot and a return women's title match with Naomi vs. Lana. Cody Rhodes may have already completed most of the goals that he famously listed in a tweet after leaving WWE, but his biggest accomplishment since wasn't something that was mentioned then. Rhodes defeated Christopher Daniels to win the Ring of Honor World Championship in the main event of Best in the World last Friday night. A look at changes in WWE booking leading to SummerSlam, including a main event change and how this likely effects the WrestleMania plans for New Orleans is the lead item in the new double issue of the Wrestling Observer Newsletter. Look at SummerSlam, Great Balls of Fire, Battleground and the Brock Lesnar vs. Samoa Joe program and how it's viewed. There is a feature on Cody Rhodes winning the ROH title, interpromotional champion vs. champion matches in the last 30 years and how rare they are, the last time one person won a major world title from two organizations at the same time, the last match of this type in the U.S. and how it came without any hype and its purpose was very different, plus different reactions to Cody Rhodes, the trickiness of the finish, the ticket demand for Long Beach, what show last year exceeded it, and father and son combos who both held world heavyweight titles. This issue features the 2017 G-1 Climax tournament, including all tournament matches, the broadcast plans and times, key matches to look out for and more. Check out the NXT Takeover card for 8/19 in Brooklyn, an idea floated for Asuka's booking, the arrival of Bobby Fish, more teases regarding Daniel Bryan wrestling again, more on how WWE has changed from a medical standpoint over the years, WWE TV in India, a new TV commercial regarding John Cena, WWE looking to find out why people have canceled network or don't watch the programming anymore, Mike Bennett talks his WWE signing, Raw guys on Smackdown shows and Smackdown guys on Raw shows this summer, an update on Io Shirai coming to WWE and her injury situation, an update on the Mae Young Classic and broadcast plans, the promotion of the Mae Young name and lots of new wrestlers in the tournament. Look at T.J. Wilson's new role, the most-watched shows on the WWE Network, the company's worth, NXT television for the month of July, as well as notes on all the WWE & NXT house shows from the past week, highlights of the shows and business notes on the shows. The entire pro wrestling landscape is expected to change greatly over the next few weeks. But there would be no such thing as intelligent speculation on how it's going to end up. There are basic points of change for all three major companies in the United States. WWF is attempting to move its television from USA Network to what would become a revamped TNN, with Sunday Night Heat moving to MTV. Chris Jericho posted a video on Instagram reflecting on returning to Sumo Hall and coming to Japan for his 50th tour of the country. WWE also interviewed Jericho about the tour. In the upcoming "Fight Owens Fight: The Kevin Owens Story" DVD that WWE is putting out, Owens mentions an interview that he did with our Dr. Keith Presents show after ROH's Final Battle in 2010 while his career was at an important point. We've uploaded that interview again on the front page. Johnny Saint completed a six-month stay as a coach at the WWE Performance Center and headed back to the UK this week. There was an outpouring of appreciation from people who worked with him for his time there. Kurt Angle spoke to Channel Guide magazine about being the bonus pre-order character for the WWE 2K18 video game. He said that he hasn't undergone any medical testing for an in-ring return in WWE but left the door open for it. Newshub in New Zealand has an article on Alexa Bliss and women's wrestling in WWE. The Phoenix New Times has an interview with Baron Corbin ahead of the July 4th episode of SmackDown taking place in the city on Tuesday. This week's WWE top 10 list on YouTube looks at John Cena's "best verbal smackdowns." It was reported today that former British wrestler Jim Breaks has been arrested in Gran Canaria, Spain and is being investigated for beating his ex-wife Donna Cowley to death. La Provincia in Spain also reported on Breaks being arrested. 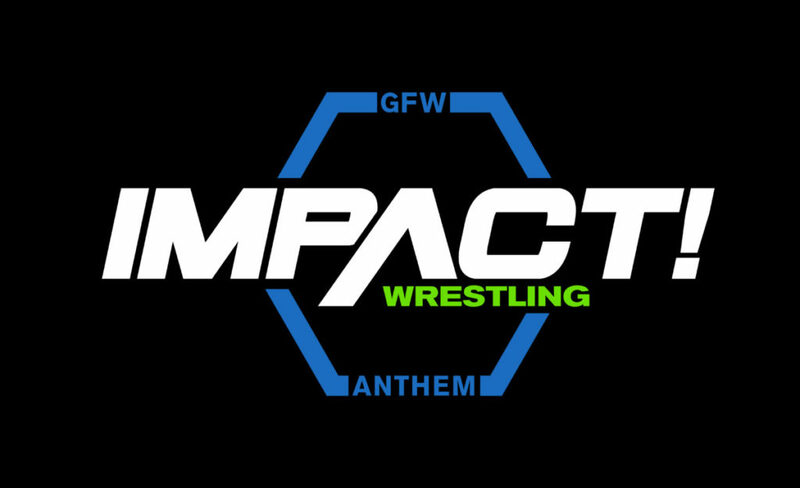 Ratings for this week's Impact were down pretty substantially. The go-home show for Slammiversary averaged 268,000 viewers on Pop TV. Last week's episode was watched by 342,000 viewers and ratings had been increasing over the last few weeks. NJPW debuts in Long Beach tonight for the first of two G1 Specials. With tickets having sold out within hours of being put on sale, there isn't any intrigue on that front. How the show fares on AXS will be interesting given that it's a live show airing in prime time. It should be the highest rating for NJPW on AXS yet, but other shows have been really hyped in advance as well and had matches that people already knew were great going in. The card has Kazuchika Okada vs. Cody Rhodes for the IWGP Heavyweight Championship, first round matches in the IWGP US title tournament, a tag title match between Guerrillas of Destiny and War Machine, and more undercard tags. If NJPW operates as usual, the full card for the second show should be announced shortly after tonight's show since it can't be revealed until the first round US title tournament matches are done. Those will probably just be undercard tags to supplement the semis and finals of the tournament, Hiroshi Tanahashi vs. Billy Gunn for the IWGP Intercontinental Championship, and The Young Bucks vs. RPG Vice for the junior tag titles. 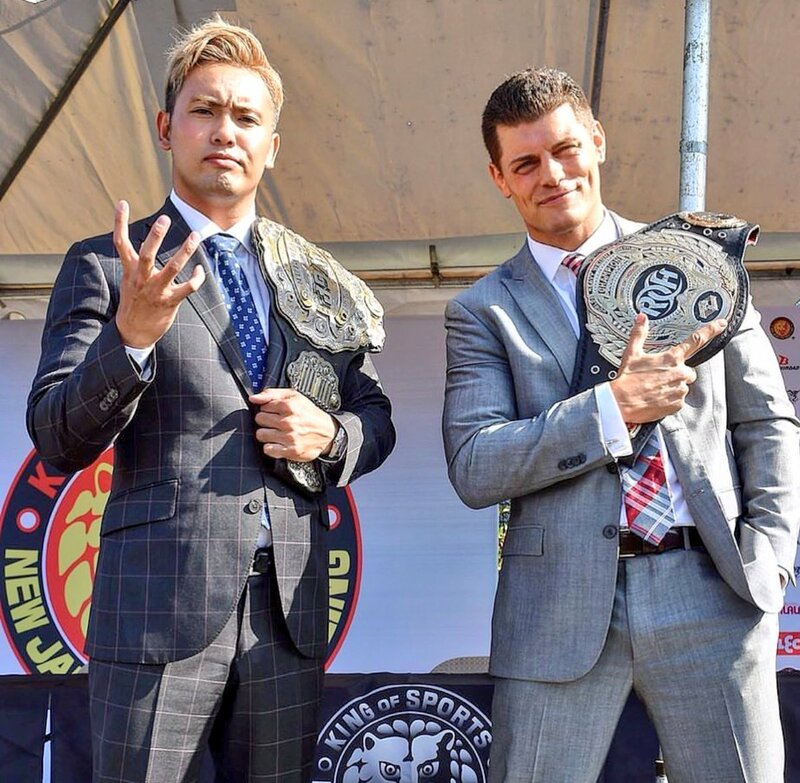 NJPW held a press conference in California yesterday to promote the shows in Long Beach. Among the highlights, Tetsuya Naito said that he plans to throw the IWGP United States Heavyweight Championship in the garbage if he becomes the inaugural champion. Okada spoke about visiting In-N-Out Burger while in California as well. NJPW uploaded video from the press conference. ESPN ran a story on Cody after his ROH title win and before the Long Beach shows. The Lapsed Fan podcast has a three-part and over 11-hour long reflection on the Benoit tragedy 10 years later. AAA announced that Taya Valkyrie has been stripped of the Reina de Reinas title. The explanation given was that she used a chokehold to win a no DQ match three months ago. Taya tweeted about it, "For the record, no one actually spoke to me. Not a text, email, phone call nothing...but it's fine. Life goes on. Remember that time I stood by my company while everyone else didn't.....jokes on me apparently. But ok.........#karma"
Jim Cornette tweeted that he's raised over $1,000 for Crusade for Children through selling signed copies of the protective order that Vince Russo filed against him. Eastern Daily Press posted a story on the Knight family opening WAW House in Norwich. Conor McGregor's sparring partner complimented his boxing ability. Dana White admitted that the UFC has "made some mistakes" with their handling of Cris Cyborg. Tonya Evinger thinks that she'll be Cyborg's biggest challenge to date. Luke Rockhold said that he isn't coming back to fight a middling fighter on a random card. Texas de Brazil, Wicked Spoon, NXT and Summer Slam will all be sign up and pre-paid events, prices and collection begin in mid July~!